It has innovative new features that improve the way you view the web. And powerful new tools to help developers enhance and customize the browsing experience altogether. What is Safari? – It’s a browser. It’s a platform. It’s an open invitation to innovate. 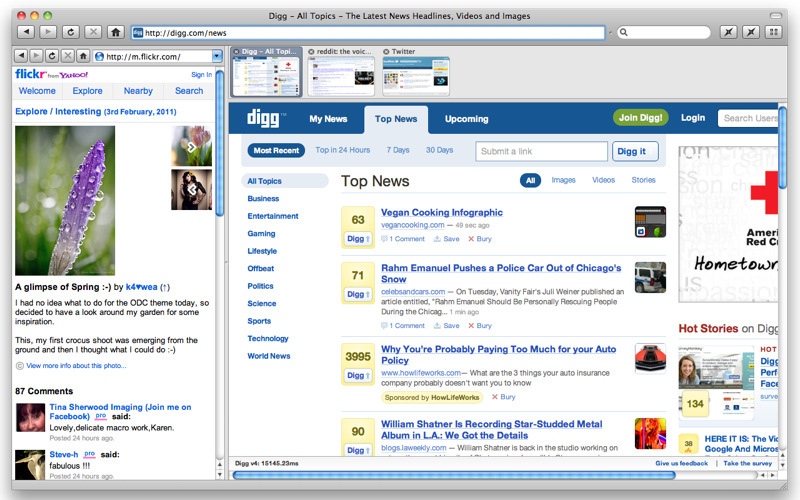 Safari sets the standard for the way browsing should be. What’s new – The best way to read online, greater support for HTML5, and other new features that make the web even better. What’s new in Camino 2? – With innovative features like Tab Overview alongside security features like phishing and malware protection, Camino 2 is the safest, cleanest Camino yet. Camino 2 also improves upon many familiar staples: blocking Flash animations is more flexible with the new exceptions list; tabs can now be rearranged by dragging within the tab bar; there are optional Growl notifications for downloads; and much, much more. The Firefox browser is created by Mozilla, a non-profit organization whose mission is to promote openness, innovation and opportunity on the Web. In the end, the Mozilla community, organization and technology is all focused on a single goal: making the Internet better for everyone. 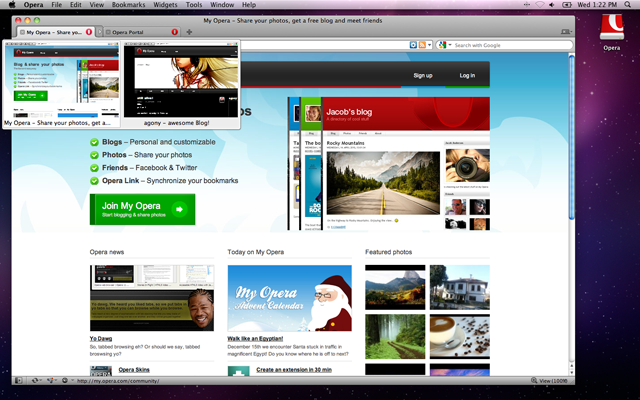 Opera is a very fast, elegant and easy to use Web browser. Opera’s cross-platform Web browser technology is renowned for its performance, standards compliance and small size, while giving users a faster, safer and more dynamic online experience. Opera Web browser scores a 100/100 on the Acid3 test. 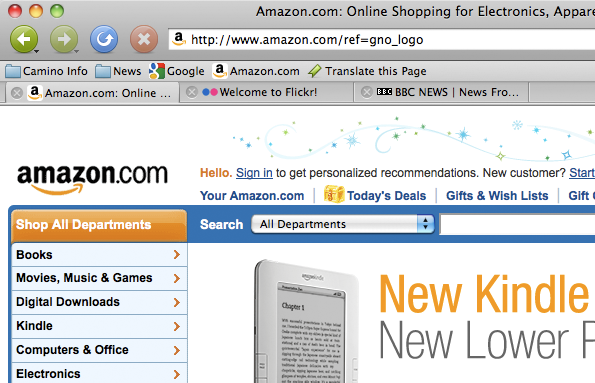 Cruz is a new web browser for Mac OS X that offers a few special features you won’t find anywhere else. 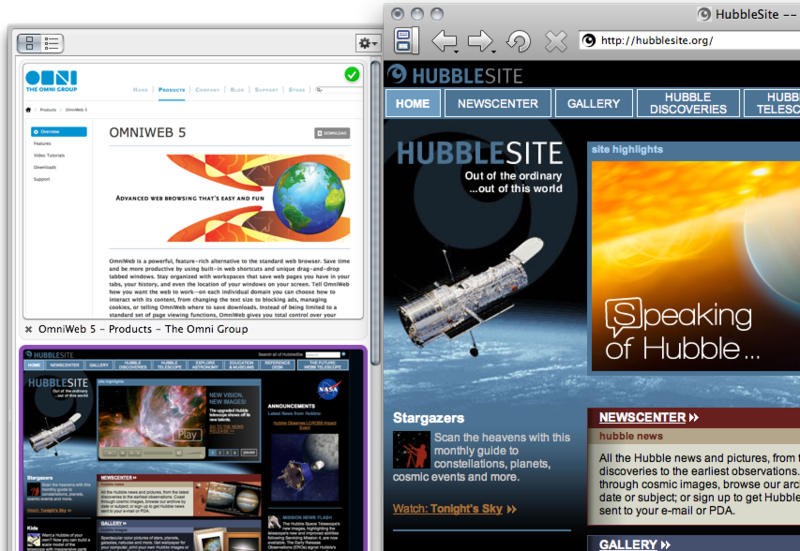 OmniWeb is a powerful, feature-rich alternative to the standard web browser. Save time and be more productive by using built-in web shortcuts and unique drag-and-drop tabbed windows. Stay organized with workspaces that save web pages you have in your tabs, your history, and even the location of your windows on your screen. Tell OmniWeb how you want the web to work—on each individual domain you can choose how to interact with its content, from changing the text size to blocking ads, managing cookies, or telling OmniWeb where to save downloads. Instead of being limited to a standard set of page viewing functions, OmniWeb gives you total control over your entire browsing experience. Although Stainless started out as a technology demo to showcase our own multi-processing architecture in response to Google Chrome, we’ve been inspired by our growing fanbase to forge ahead and craft Stainless into a full-fledged browser. 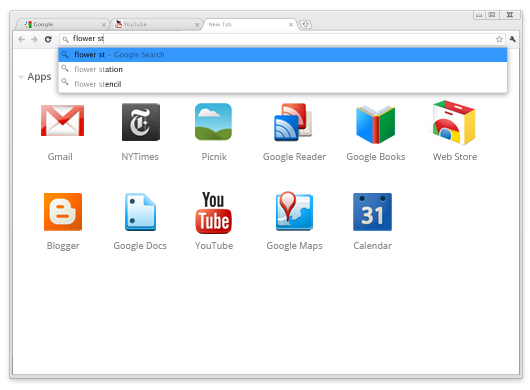 In fact, Stainless now has features you won’t find in Chrome or in any other browser. A prime example is parallel sessions, which allow you to log into a site using different credentials in separate tabs at the same time. This new technology is woven throughout Stainless, from the private cookie storage system, to session-aware bookmarks that remember the session in which they were saved. We’re excited to showcase what we believe is a true browser innovation. Please note that Stainless is still in development and doesn’t yet have all the features you’d find in a production-ready browser. 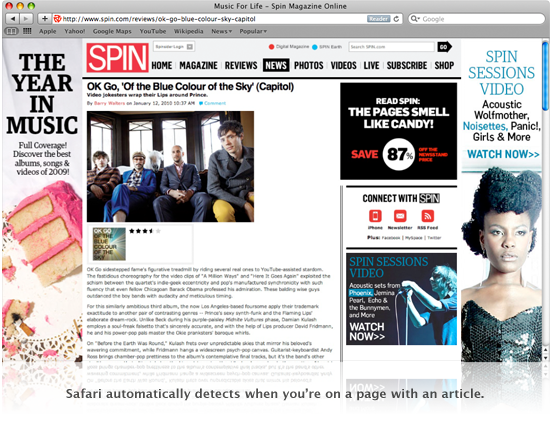 Google chrome experience is nice but I personally prefer Opera and mozilla on every OS. Omniweb is also very interesting and simple to use. 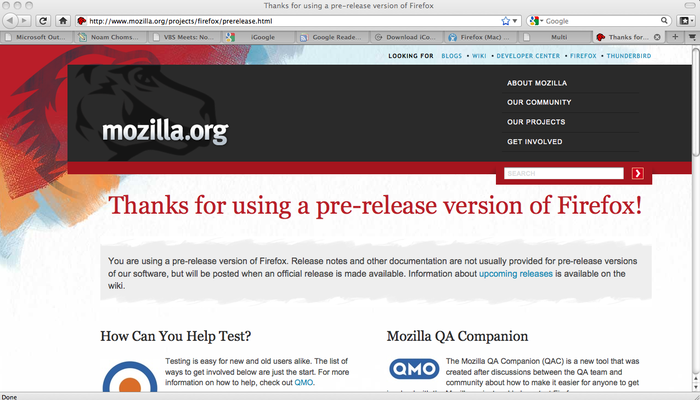 but mozilla has some edge when you’re considering great add-ons that enhance web browsing.